Insurance group: 19 - 31 How much is it to insure? 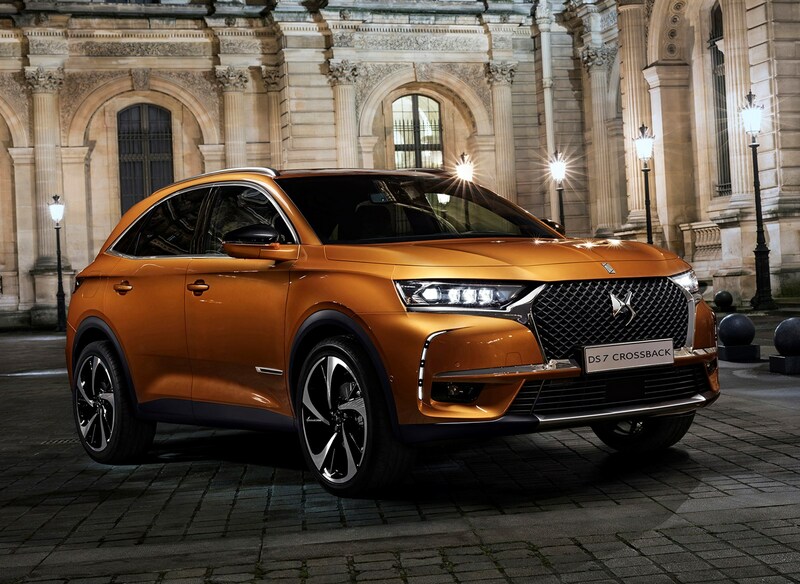 This is the DS 7 Crossback, the first in a wave of six models set to appear in the French premium brand's line-up by 2023. For those who hoped the marque might launch a luxury saloon in the spirit of the original Citroen DS, then be patient - a low-sling four-door is coming. But for now, topping the range is an SUV - and rest assured, it won't be the only one in the DS range. But SUVs sell, and sell well. Audi, BMW and Mercedes-Benz can't make enough of their premium offerings to meet demand, and PSA (DS's automotive parent group) wants a piece of that action. 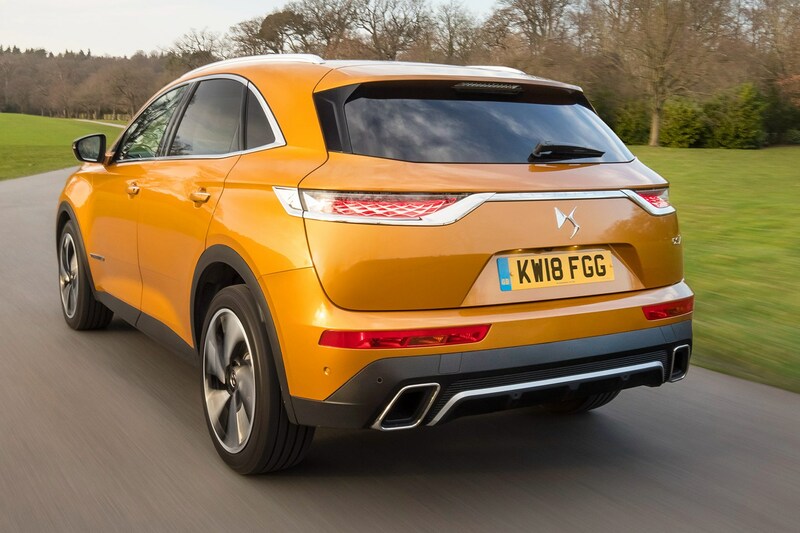 Consequently, the DS 7 Crossback is targeted at the sort of people who might want a posh crossover but don't want to go for the obvious choice. 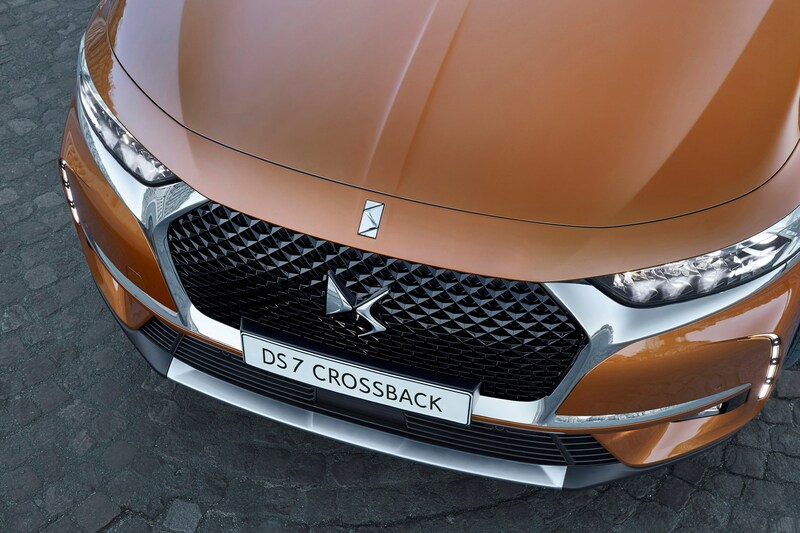 DS 7 Crossback: what is it, and what's it up against? 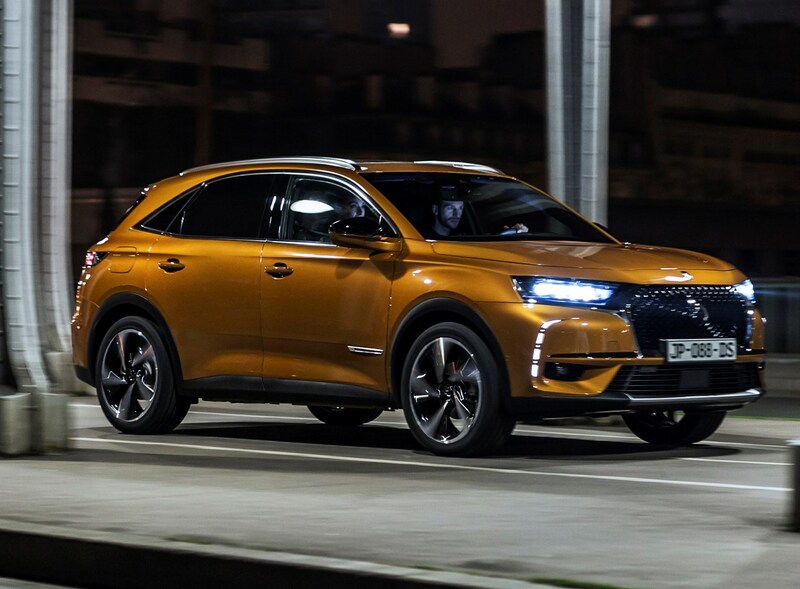 Think of the the DS 7 Crossback as a plush SUV that comes with an Audi Q5-sized cabin, but you can buy it at Q3 prices. It's not cheap, though. Priced from around £28,000 to over £43,000, it isn't cheap and cars such as the Ford Edge or Kia Sorrento seriously undercut it, while the top-of-the range models are mid-hierarchy Volvo XC60 money. 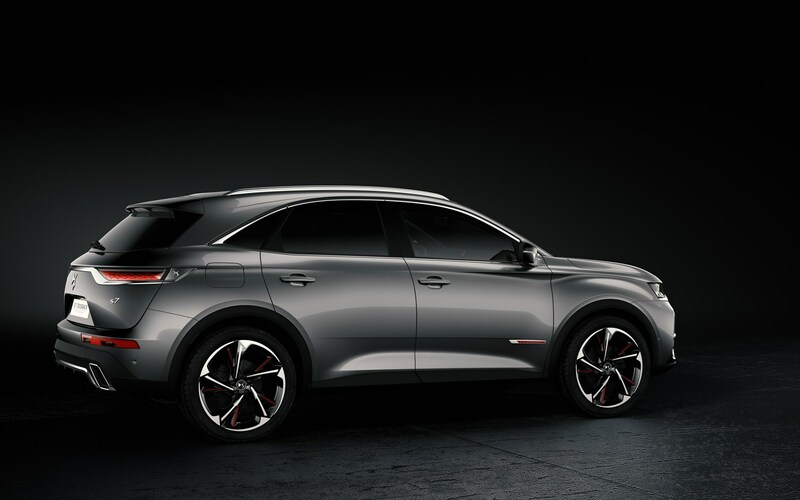 Because of this slightly unusual positioning, DS Automobiles reckons that the car's closest rivals are the similar-looking Lexus NX, the Mercedes-Benz GLA and BMW X1 as well as the popular Audi. As such, it's a car that needs to impress, and offer something over and above its well-honed opposition. Does it have what it takes? As a package, it does what a typical large SUV should. You get two rows of seats for five passengers, and there is plenty of room front and rear, although foot rook for those in the back is compromised by low-set front seats. You can even recline the two outer seat backs electrically in the up-spec models. The boot is a decent size, at 555 litres with the rear seats up or 1,750 with them stowed flat. The tailgate is electrically operated. The BlueHDi 130 is a 1.5-litre engine, which passes EU6.2 regulations that will eventually replace all 1.6-litre diesels across the entire PSA range. An entry-level three-cylinder PureTech 130 petrol will join the range in late 2018, while a 300hp plug-in hybrid (PHEV) version called the E-Tense will follow in summer 2019 with a projected asking price of £65,000. All models are front-wheel drive, apart from the upcoming hybrid, which will have electrically powered rear wheels for improved traction on slippery surfaces. Given the profusion of four-wheel drive rivals in this market and price sector, this is a disadvantage for anyone who regularly tows or needs a modicum of off-road capability. 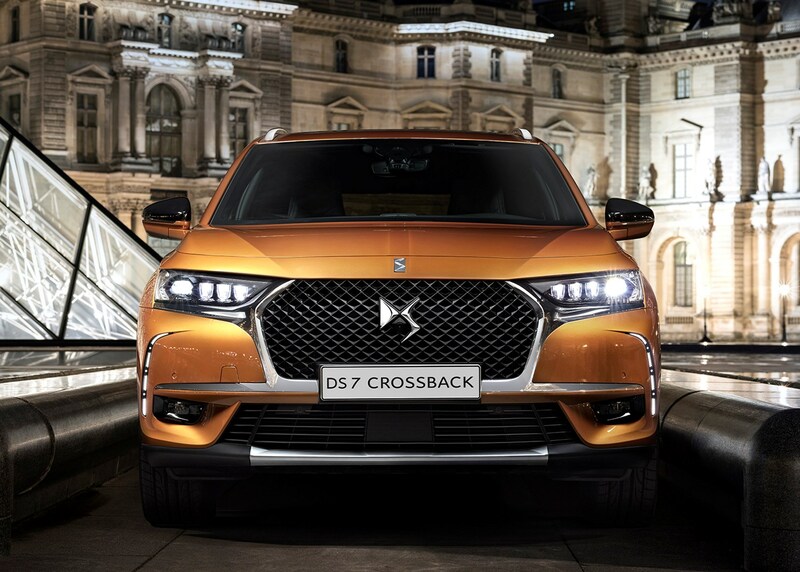 What’s the DS 7 Crossback like inside? 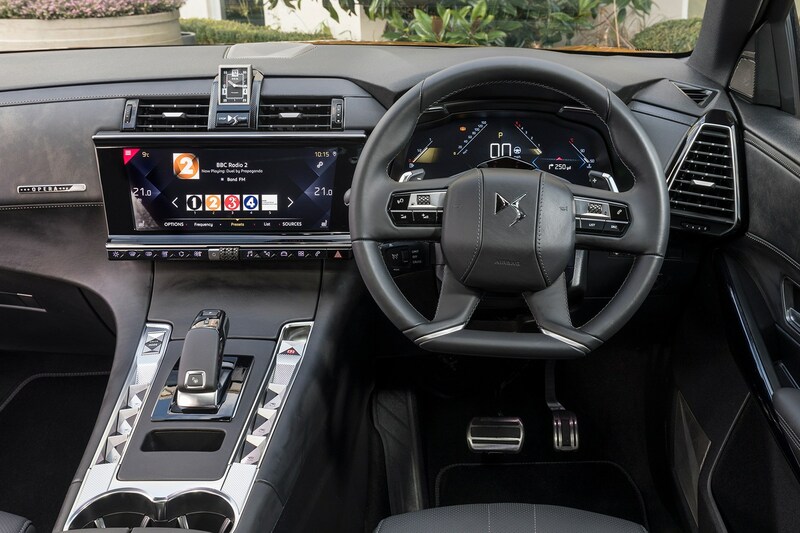 The dashboard is dominated by twin 12.0-inch screens – one in front of the driver, the other in the centre of the dash. From there, you can control all aspects of the infotainment, climate control, navigation and driver aids. There is also a bank of switches beneath the screen for some of the more commonly used controls. Both are crisp and clear, and you can't fault their clarity. However, despite having several display modes, the way the instruments are displayed in front of the driver means you can't just have a nice, big bank of old-school dials. This is a shame because it's reasonably user-friendly and pacy, but still not a patch on any of the Volkswagen Group opposition. We'd also like to see more physical controls, such as BMW's iDrive or Audi's MMI, to back up the touchscreen. The choice of materials is impressive, though, with lots of care lavished on the quality of the leather and suede that's used. Almost every touch point feels pleasant, and the use of quilted leather for the seats and padded armrests is very appealing. It feels modern and inviting. But it's not all good news. 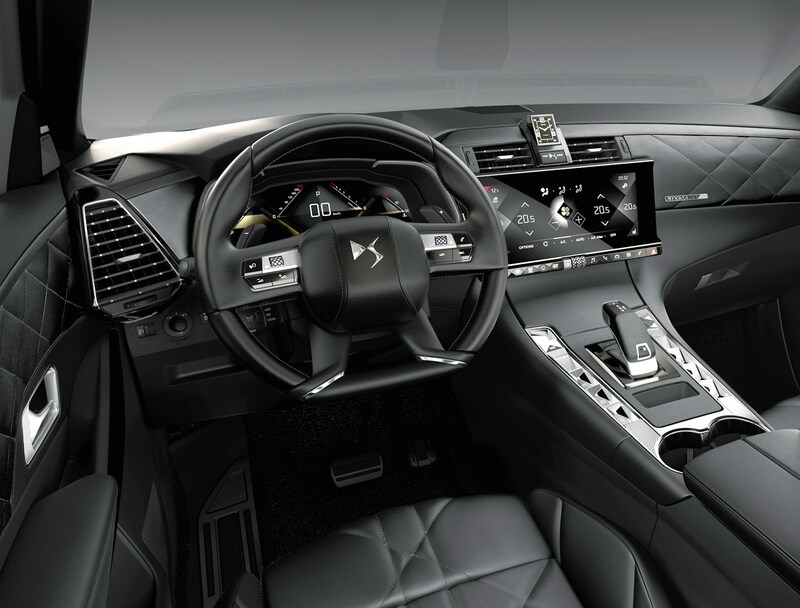 DS has clearly tried too hard to give it a unique, bespoke feel – areas such as the centre console switchgear, pop-up BRM clock, and those instrument graphics are over-styled and contrived. This is a shame, because it lacks the understated elegance of the Volvo XC60 or Audi Q3, for instance. There's also a lack of quality in some of the commonly-used switches. The DS-branded start-stop button feels cheap and wobbly, and the scroll buttons have a little too much lost movement in them. Niggles, perhaps, but not what you'd at price point in excess of £40,000. But we can report that it’s very roomy, both front and rear. The driving position is good, the seats are comfortable, and the rear is a pleasant place to spend time. Just watch out for the optional glass sunroof, which significantly impacts rear headroom for taller passengers. 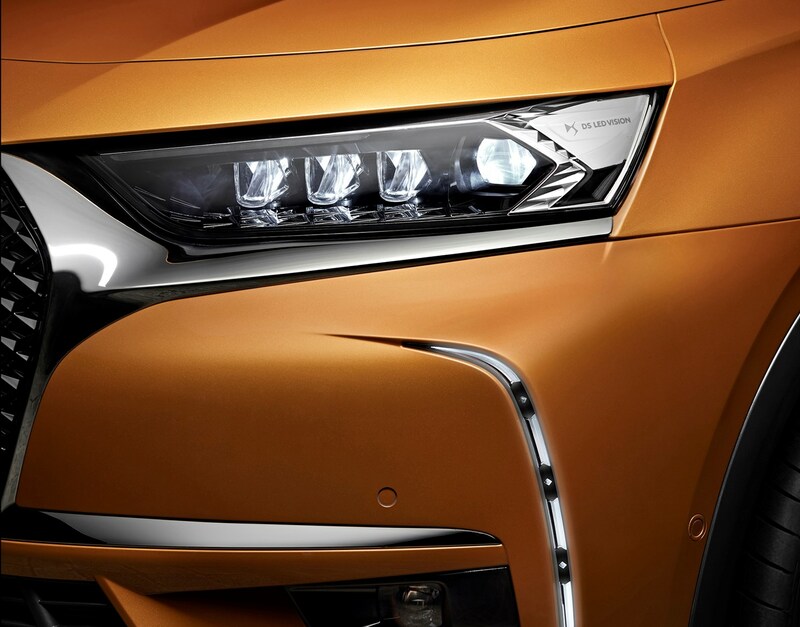 A real party piece of the DS 7 Crossback is its lighting system, standard fit on the Performance Line, Prestige and Ultra Prestige models (and an option on the entry-level Elegance). Traditional bulbs are banished in favour of LEDs and they’re active beams that swivel 180deg on start-up in an unusually arresting routine. Lost your car in a car park? The beams light up and do a merry dance, strobing to help you locate your car or settling to a deep purple glow. On the move, they massage the beam shape to suit the environment, weather and type of road. Further technical innovations include night vision, a 14-speaker stereo, accoustic double glazing and a new adhesive used in the factory in addition to welding, giving the crossover a rigid - and quiet - structure, to improve refinement, safety and handling. 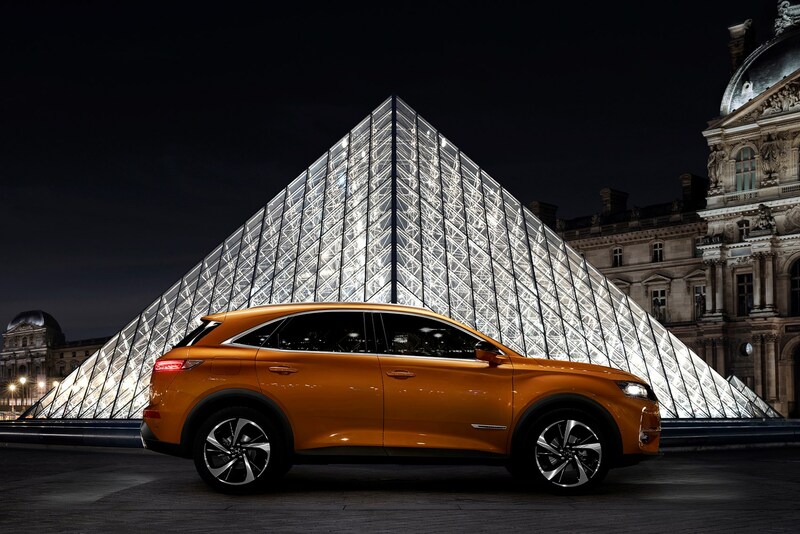 What's the DS 7 Crossback like to drive? 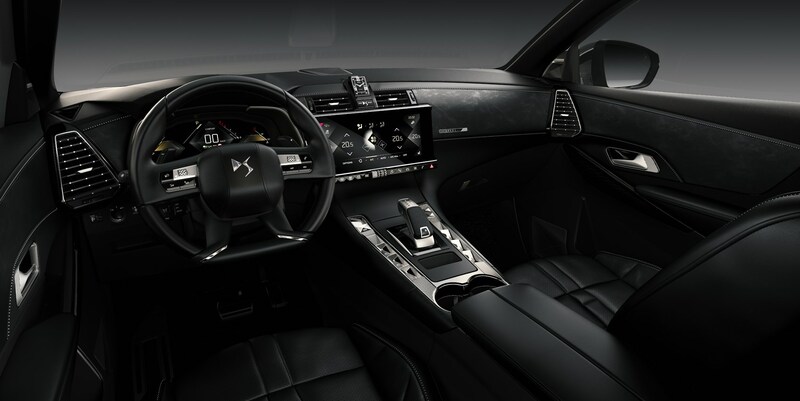 Reflecting the fact that SUV buyers don't necessarily want the last word in driver involvement, DS Automobiles has dialled-in a fair degree of comfort. Central to this is the company's Active Scan suspension system, which uses a forward-facing camera to read the road and tune the car's suspension and damping to cope with the surface accordingly. Drive it in the city, and it doesn't initially feel that soft, but as the speeds rise, the sense of comfort grows, expecially on undulating motorways and A-roads. It's not consistently fluid in the way it behaves, and there are a number of occasions when you feel the suspension switching from soft to firm to cope with sudden surface changes. In corners, it generally feels flat and stable, although the steering lacks precision and consistency of weight and feedback, so you never feel as confident as you should going into a corner you perhaps entered too quickly. It's not a driver's car in any sense of the word – which given the suspension technology that's gone into it, is a little disappointing. 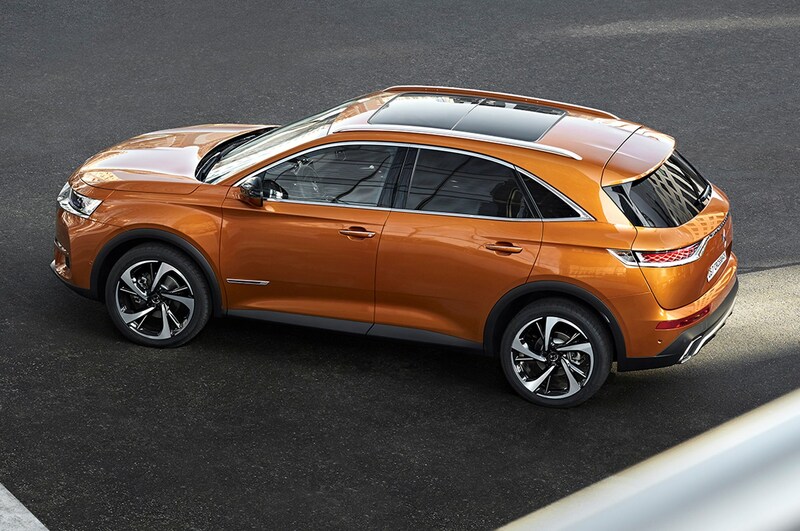 The DS 7 Crossback's adapative cruise control and lane-keep assist work well, with the steering assist feeling natural, and distances being maintained in a very natural-feeling way. The DS 7 Crossback is a car that's good in places, and annoying in others. Although the overall styling is SUV-generic, there is some nice detailing on the outside, such as the LED headlamps, and the well-resolved tail lights. It's roomy inside, the trim materials are tastefully chosen, and it feels suitably up-scale. In short, DS has gone some way towards delivering luxury experience it promised, with one or two rough edges to sort. 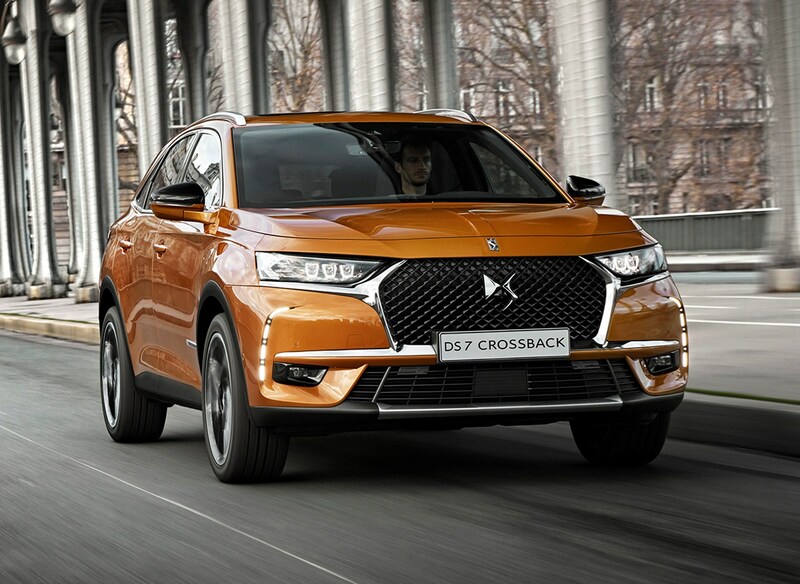 On the road, the DS 7 Crossback's Active Scan suspension system is able to deliver a reasonably comfortable, well-controlled ride on most surfaces, without resorting to excessive body roll in the corners. Much of the time it feels composed and relaxed, but in town or on some broken surfaces, that air of serenity is sadly lacking. It's also less refined than we expected, with engine and wind noise falling short of the best in class. But it's up against some very tough rivals, and is far from cheap. Although we suspect it's a grower - you might love it more with familiarity - we can't help but feel that it's some way short of the out-of-the-box excellence that is needed to persuade SUV buyers to ditch their Audis, BMWs and Mercedes-Benzes. It's a left-field choice, but far from outstanding enough to make the switch to DS worth the effort.